A guide to choosing, planting and caring for all the most common flowering shrubs. Building on the "Gem" format, this title should make a successful gardener out of an absolute beginner. 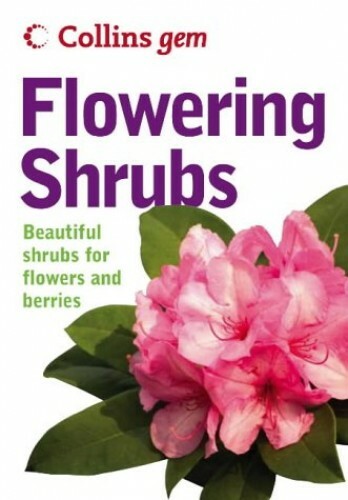 Flowering Shrubs is the only guide you need for choosing, planting and caring for all the most common flowering shrubs. Building on the popular Gem format, this essential book will make a successful gardener out of an absolute beginner. Garden centres offer plenty of flowering shrubs, but which suit your garden? And how will you plant them once you get them home? Gem Flowering Shrubs answers these questions and more, providing comprehensive information for caring for shrubs. A substantial introduction covers the basics of plant care, focusing especially on planting and pruning -- the keys to success with flowering shrubs. The directory covers further details for each of over 120 specific plants, including where to site, height, spread, and flowering colour and period. In addition, each entry includes suggestions for planting combinations and tips for pruning and care, ensuring that your plants will continue to reach their full potential year-round. The fresh, clear design is easy to follow, and full-colour photography throughout enables quick identification of plants. This easy-to-use guide will give you the confidence you need to raise healthy, attractive flowering shrubs.